An ounce of prevention is worth a pound of cure. You’ve heard that a million times—because it’s so true! Our office really wants you to avoid painful, costly dental procedures. 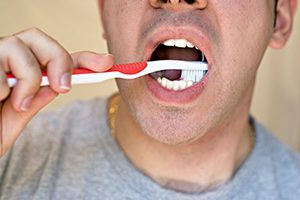 The way you can do this is through regularly scheduled dental exams. The idea is to discover a problem when it’s large enough to be observed—and small enough to be contained! Two dental visits a year are average. But you—are not average! More appointments may need to be scheduled when mouths build tartar fast, cavities multiply, or teeth and gums experience change. The American Heart Association has reported that the BEST indicator of your chance of having a stroke is your number of teeth. Not cholesterol, blood pressure, or bad diet. The more teeth you lose, the higher your risk of stroke. The main purpose of a hygiene appointment is the prevention of periodontal disease. Our hygienist removes deposits from your teeth and measures the pocket between your gum and teeth with a probe to detect periodontal disease. You’ve got a lot at risk. We can help. It’s as simple as scheduling a dental hygiene appointment. The benefits extend far beyond your teeth and gums! Please schedule an appointment with our office today for your overall health.